Heiko Julien occupies an interesting, ambivalent venn diagramatic space in the (alt)literary world – somewhere between, or at least working toward being somewhere between, the poet Steve Roggenbuck and the novelist/poet Tao Lin. On Facebook – which it seems he has just left, at least for the time being – he alternates between inspiring life coach and in-depth autobiographer almost undetectably. 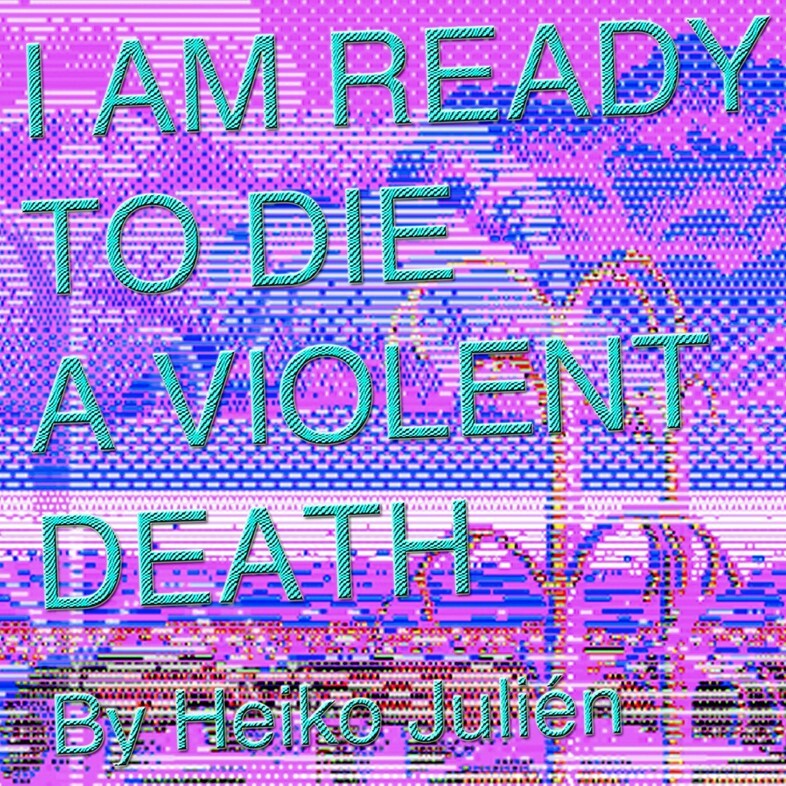 Weaving together poetry and prose, conscience and disconnect, even apathy, on personal and social levels, Julien's book (playfully titled I am Ready to Die a Violent Death, encapsulating the whole project from the off) is a collection of sometimes witty, sometimes moving observations and juxtapositions. Below are two selections from the chapter "I Do It". With the woods and the trees. It takes a lot out of me. I rub a leaf on my sweaty forehead. 20 years,” is the sort of noise you make in my direction. we say at each other at the same time and it’s true. Tax my energy over time like everything else. Shoot me with a gun in the United States of America. going to push me down the stairs. going to roll over my toes with your car on accident. them on one at a time. much and wonder if its a problem. Bands I have never heard of while we are riding bikes. can't really hear you because it’s too windy. are lonely even though we are together. driveway to six feet so we can both do slam dunks. membered; by my collective social media output.